There are 17 million Facebook users in Australia. There are 5 million Monthly Active Australian Users on Instagram. 1 in 5 Australians use Instagram. There are 2.8 million Monthly Active Australian users on Twitter. About 48 percent of small and medium-sized businesses surveyed said they had a social media presence. Consumers are increasingly looking to social media for practically everything, and they turn to the people that lead and command on each platform — the influencers — for advice, tips, and recommendations. A quick look at the term “influencer marketing” on Google Trends shows a steady upward trajectory. With the rise of social media over the past few years, influencer marketing became part of social media marketing and content marketing mix for connecting directly with consumers. Almost 60% of fashion and beauty brands have an influencer marketing strategy in place, while a further 21% plan to invest in it over the next 12 months. Advertisers are increasingly embracing influencer marketing as customers become over-exposed to paid ads and are using social media to guide purchases, often with the influence of favourite personalities. Coming 2017, the emphasis on quality content will be largely noticeable. Content posted by Australia influencers not only have to be engaging and interactive, it also have to be new, natural, suited to the influencer and brand, shareable and encompasses a call-to-action to be able to reach out to a wide network of your target and produce positive results. Consequentially, brands which invest greatly in creating quality content will have an edge over the rest. Being risk-adverse, Australia consumers are increasingly relying on influencers and word-of-mouth to decide on their purchases. This should be seen as an opportunity to leverage on the available influencers to bring about more sales through the online platform. To be able to leverage on influencer marketing to provide a form of reassurance for the consumers would definitely bring about positive impact on your brand's ROI. Influencer marketing would hence be a great platform to reach out to the Australia market, especially the young Australian who constantly look online for reviews. 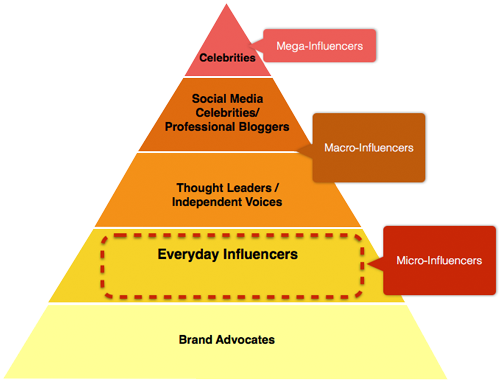 These characteristics of the community is what make influencer marketing extremely effective in Australia. You may ask, what are the various ways to engage Instagram influencers in Australia to perform influencer marketing? There are simply two options: businesses to reach out to influencers personally, or go through an influencer marketing agency. On the surface, it may seem reasonable to reach out to influencers personally with the presumed low cost and easy reach. However, with the vast amount of influencers in Australia, each focusing on specific topics of interest, performing influencer marketing and liaising can be a real challenge. To execute an effective influencer marketing campaign, one should be sure to read up on the various aspect of influencer marketing from the various articles and ebooks available online. 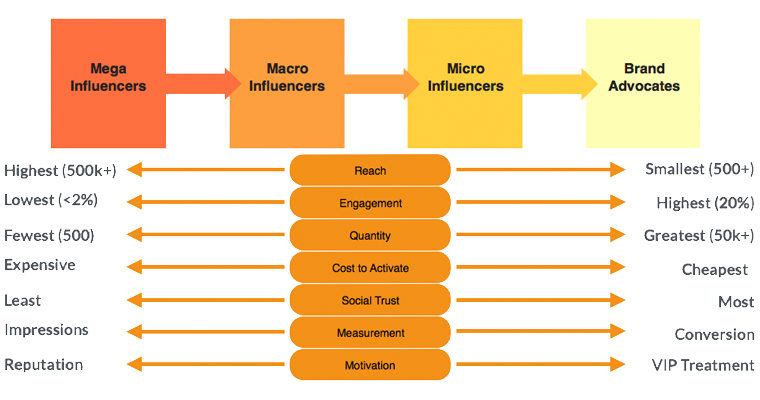 Micro-influencers: Everyday consumers who have 1,00 to 100,000 followers and drive 25% — 50% engagement per post. 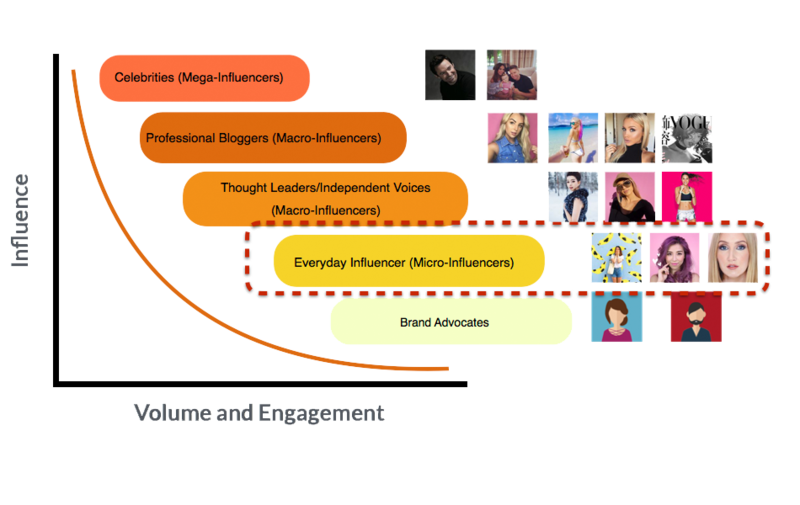 They have the highest brand relevance and resonance on the spectrum of influencers, with influence driven by their personal experience with a brand and their strength of relationship with their networks.